About 70 college students, including University of North Georgia (UNG) student Kameron Zimmer, from 13 colleges and universities across Georgia participated May 21-24 in the ninth annual Leaving a Legacy of Leadership (L3) Summit at UNG.They participated in the many experiential situations including the ropes course at Pine Valley Outdoor Recreational Facility in Dahlonega, Georgia. One at a time, six groups of students from 13 colleges and universities across the state of Georgia stood in a circle looking at a bucket filled with multi-colored balls May 22 at Pine Valley Outdoor Recreational Facility in Dahlonega, Georgia. The mission was to retrieve the bucket and pour the balls into another bucket outside of the circle. But there was a catch. Students could not touch the bucket with their hands or step inside the circle. They could only use some ropes and bungie cords to complete the task. The ropes course at Pine Valley was one of the many experiential situations the 70 college students faced at the ninth annual Leaving a Legacy of Leadership (L3) Summit at the University of North Georgia (UNG). L3 was developed at UNG and staffed by educators and student mentors from the different colleges and universities. It is designed to help student leaders improve their leadership skills and advance the mission of their campuses and institutions along the way. Participants are selected by their institutions as promising leaders of their school communities. 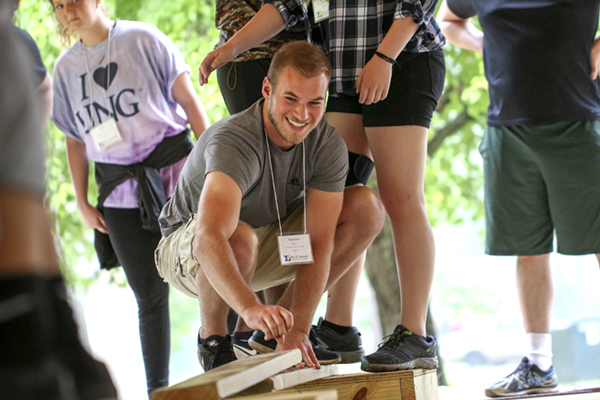 Students participated in the four-day event to critically think about issues facing their campuses, devise a legacy project to address an issue they are passionate about and implement it throughout the year, said Mallory Rodriguez, director of Student Life, Leadership Programs, at UNG. To help them accomplish these goals, students listened to lectures and participated in activities to test their critical-thinking skills and work together in different situations such as the bucket scenario. "These experiential activities help the students grasp the content more thoroughly," she said. "Each element is designed to help them gain a sense of self-awareness and better relate to the team. It shows them how to work together. They learn to troubleshoot issues that arise and it tests their critical-thinking and problem-solving skills." 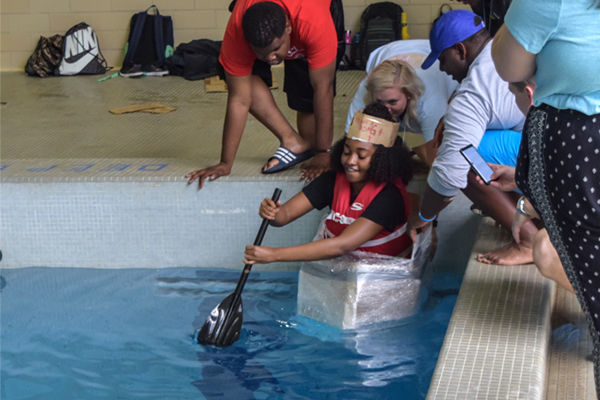 College students who attended the Leaving a Legacy of Leadership (L3) Summit at the University of North Georgia (UNG) participated in the many experiential situations including the boat regatta in the pool in Memorial Hall in Dahlonega, Georgia. Grasping these concepts helps the students with their final assignment — develop a legacy project for their specific campus. UNG junior Garrett Davis said he has been inspired by the program and formulated the idea for his legacy project on the first night of the summit. 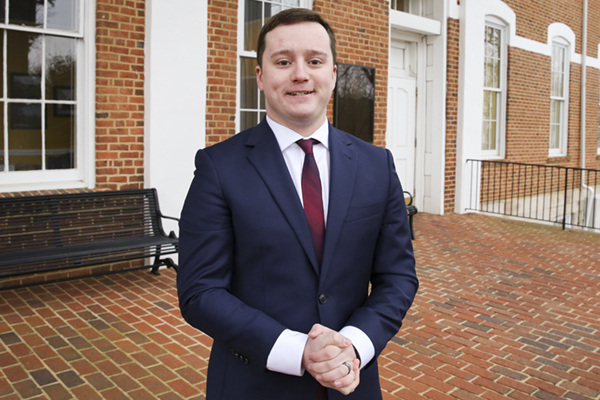 He plans to use the internet as a way to encourage other students to become leaders on campus. "I want to develop a social media campaign busting the myths of leadership," the 19-year-old from Cartersville, Georgia, majoring in communications with a concentration in public relations said. "There are a lot of myths associated with leadership such as you can't be a leader if you are in this position or that position. But it's not true. Anyone can be a leader." That sentiment was visible as some students immediately voiced plans to accomplish a task while others were quiet and waited to express a different plan of attack. But all had to work together to complete the task, especially in the activity involving the bucket. While a few students retrieved the bucket in the first scenario, one piece of equipment was removed for the second scenario. This required all students to participate. And when the students from the group accomplished it, cheers were heard and high-fives were given to all.